Unibet is one of the biggest and highly trusted online poker game providers, started in 1999 as part of the MPN, Microgaming Network, and launched on its own in 2014. Unibet is a publicly listed company at the NASDAQ OMX Nordic Exchange in Stockholm. 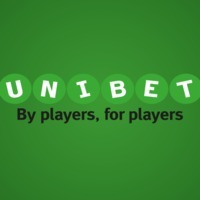 Aiming to give recreational players a fun and memorable experience, Unibet is providing a generous loyalty scheme, a choice of sign-up bonuses and the chance to qualify for the live Unibet Open tournaments. The full range of online gambling products includes sports betting, live betting, casino, poker, lotteries, bingo and soft games. All third-party softwares are banned, meaning no tracking software – such as Holdem Manager and PokerTracker – or Heads-Up displays are working on the site. Currently, Unibet Poker offers No Limit Texas Hold’em and Pot Limit Omaha cash games, sit & go tournaments and multi-table tournaments. There are more than 9 million players using the platform worldwide. Fast connection, good ergonomy and entertaining features are all a must for poker providers. Unibet’s table options are offering good usability, as players can take notes, access hand history and follow their statistics. Unibet Poker is also one of the few online poker providers that gives you the chance to play on the site without the need to download the app. Cash games vary from €0.02/€0.04 to up to €2/€4; tournaments start from €1 buy-in and increase up to €100 buy-in. There is the Poker Identity feature, which allows players to change names up to three times per day, so that they remain unrecognised. The Poker Club program is also another way for players to gain points. They can later use them to buy into freerolls or purchase products at the Poker Club Store. When it comes to security, it is essential to know that your online poker provider is certified and has applied security measures. Unibet is a member of the European Gaming and Betting Association (EGBA), Remote Gambling Association (RGA) and certified by eCOGRA for responsible and fair gaming. Furthermore, the company uses an independent auditor – Price Waterhouse Coopers – to make sure that private information is not being illegally accessed and also uses collusion detection software for tracking suspicious play and cheating. Deposit options: Visa, Maestro, MasterCard, Electron, Laser, Bank Wire, Neteller, Skrill (Moneybookers), Paysafecard and Ukash. Withdraw options: bank account, credit card, Neteller and Moneybookers. Please note, that all card deposits are instant, but there is a 2.5% fee for each transaction. All withdrawals are free of charge. In case of questions, players can contact Unibet’s 24/7 support team by either email, free phone support or live chat. There is also an easy-to-navigate Help Centre and an extensive FAQ for those needing help or assistance.